The following programs are offered to all returning varsity rowers. 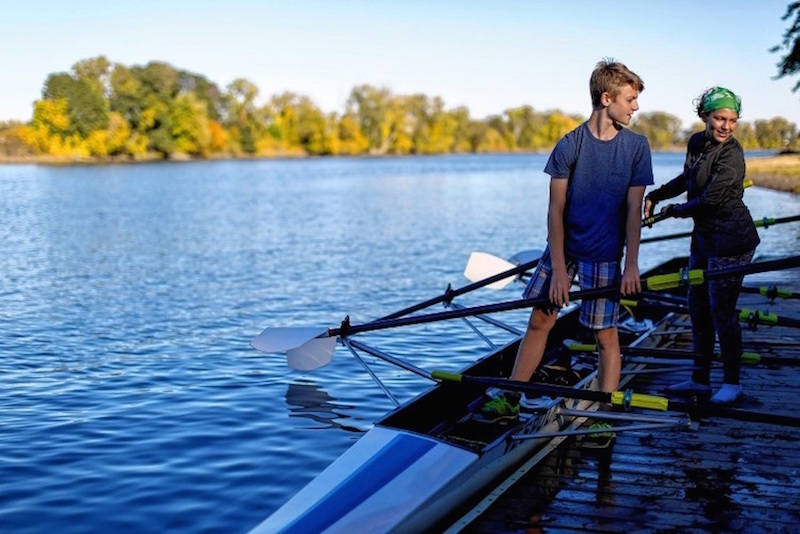 If you rowed in the Spring and are interested in setting yourself up for success when it comes to rowing, then these High Performance Programs will be a great addition to your summer plans. You do NOT need to be a Hamp Crew rower in order to participate in our High Performance Program. Please read the descriptions below for detailed information and registration. Strong rowers make for fast crews. 3 weeks, Includes racing at CanHen. 6 weeks, Includes racing at CanHen. Fees for racing options are all inclusive for transportation, lodging, and race entries. Participants are responsible for their own meals during all travel. Participants racing at Canadian Henley are required to have a Valid U.S. passport. The HP Program through NCR focuses on providing experienced varsity rowers the opportunity to raise their game through 6 weeks of intensive training. This training will include building mental skills, small boat and sculling work, rowing/recruiting portfolio development, and coxswain clinics. This program is open to any rower from any program in the region. Rowers must have at least one season of experience rowing competitively. The program will culminate in attending and competing in the Royal Canadian Henley Regatta from Aug 5-12 in St. Catherine's in Ontario Canada. Racing at CanHen is dependent on program enrollment. Fee for the program includes all travel, lodging, and entry fees to the Canadian Henley. All registered participants that intend on racing must have a current US passport. Fun on the water! Fun in the boat! 3 weeks, includes a day trip to attend the college fair in Camden NJ. The three weeks must be contiguous. The program dates are June 25 - July 15. This is a NON-RACING option. 3 weeks, does NOT include the trip to Camden, NJ for the college fair. The three weeks must be contiguous. The dates for this program are July 16 - August 3. 6 weeks, includes a day trip to Camden NJ for the college fair. The blue and gold of Hamp Crew. This is the start of the season for all returning experienced rowers of the NCR youth program. If you rowed with Hamp Crew in the Spring in either the high school program or the middle school program and are planning on rowing in the Fall of 2018 click on the registration button below. Look for information on Varsity pre-season coming soon! On Friday August 31st from 3:30-6pm NCR invites all kids from 7th grade and up to come out and give rowing a try. You'll be introduced to the equipment, meet the coaches, have the opportunity to talk with current team members, and learn the basics of the rowing stroke. This makes it easier to decide if you want to join the team or not. Everyone is welcome, there are no tryouts and no one is cut from the team.